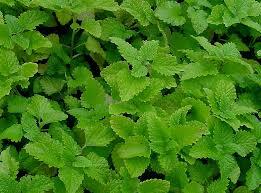 Lemon balm, with its crinkled, serrated leaves, is native to southern Europe and western Asia. When crushed, the leaves have a fresh lemon scent that makes it perfect in marinades for fish and chicken. Lemon balm is best used fresh and brings a delicate lemon-mint flavor to drinks, smoothies, salads, cooked grains and fish. It can be also used to flavor sugar cookies, compound butters, and cheesecakes. Fresh leaves also make a great addition to fresh fruit desserts and cream sauces. See this page for more information about storing and drying herbs.